"Tis the season to be jolly tra la la la la la la la..."
You might have noticed that I was recently given a new copy of the Sam Fine instructional DVD, The Basics of Beauty by the man himself, Sam Fine during his masterclass in London. In true "Stella's Addiction tradition" (what I do when I'm given something I already have) I'm going to give you a chance to win it! The competition will hold on the 20th of December 2010 (Tomorrow!!!) at 12 noon Paris time. If you are not familiar with this time zone please Click here. 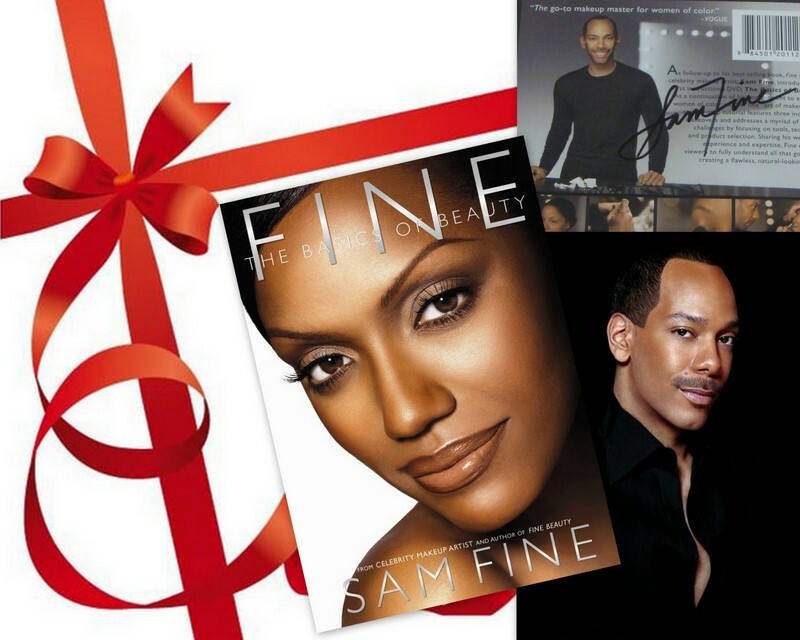 The prize: An autographed copy of Sam Fine's DVD The Basics of Beauty. I will post 2 questions at 12hrs Paris time(GMT + 2:00) on the 20th of December 2010. To enter, leave a comment with your answers. The first entry to answer both questions correctly wins if it satisfies all the conditions below. The winner will be announce at 12 noon Paris time the following day (21st December 2010). You can only answer once. That's it, it's that simple and the DVD is yours!